In hopes of curing his business woes, Charro Machorro—windshield washer, roadside vendor, and free-market enthusiast—pays a visit to a faith healer in the Arizona desert and learns more than he bargained for about how the free market really works. To increase his profits, the healer suggests, he should establish his company during the Middle Ages, gain a monopoly, exploit natural resources, break up unions (though currently he’s the only employee), and, of course, become a multinational corporation. The healer’s $20,000 fee shows that she, at least, knows how to manage her own little business. 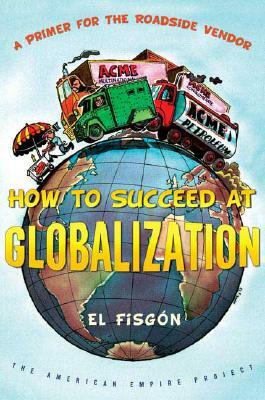 In a single, hilarious rush, cartoonist Rafael Barajas, aka El Fisgón (“the peeper”), takes us from the dawn of capitalism to the age of global conglomerates, showing how the world economy developed and how it functions today. Amid the laughs, he offers a critique of a planet in which the few “globalize” to their endless benefit, while everyone else suffers poverty, famine, migration, and war. El Fisgón’s graphically stunning, visually sophisticated book, filled with allusions to the history of art and cartooning, cleverly reverses every self-help manual for playing the market, teaching us not how to become rich but rather why so many remain poor. El Fisgon is Mexico's leading political cartoonist, author of seven cartoon books, co-founder of two satirical magazines, and illustrator of children's books. A winner of Mexico's National Journalism Prize, he lives in Mexico City.